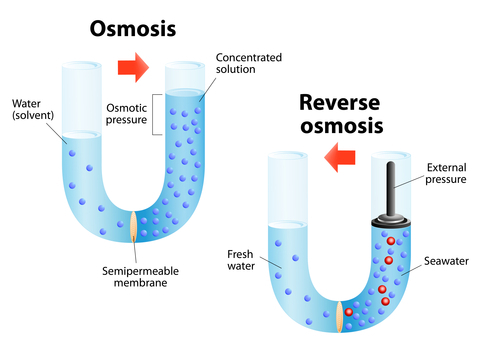 Research on Reverse Osmosis began in the 1950's at the University of Florida where Reid and Breton were able to demonstrate desalination properties of cellulose acetate membrane. 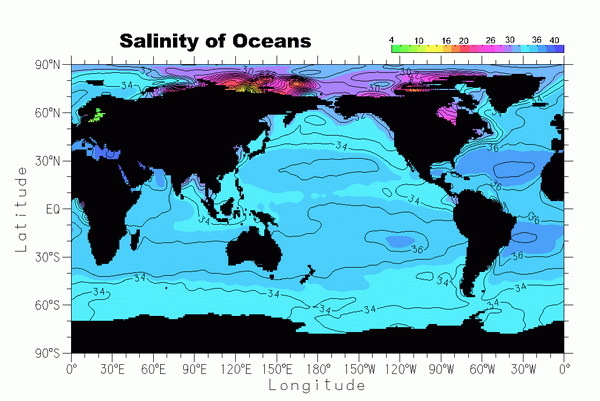 The salinity of the open Oceans varies from 20,000 ppm to 40,000 ppm but the salinity of a significant majority of the ocean area is between 34,000 to 36,000 ppm. 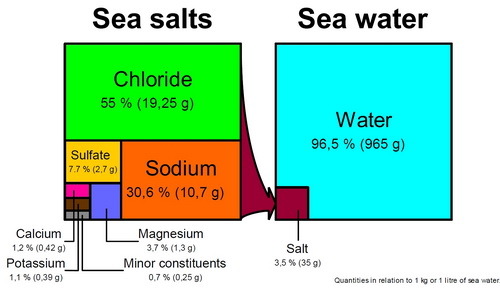 The ocean is in chemical equilibrium. This means the proportion and amounts of dissolved salts per unit volume of ocean are nearly constant. The Great Lakes contain nearly 5% of all the fresh water on Earth. The average human body contains 10 gallons of water. Worldwide rainfall equals 113,000 billion cubic meters per year.